Take your Google Adwords PPC campaigns to the next level with Ivoryshore experts. Running a Google Adwords campaign can be expensive, if there is no plan. We constantly optimize your Adwords campaign on a regular basis so you get high ROI and conversions. As your Google Adwords experts, our job is to maximize every dollar spent on Pay-Per-Click advertising, and to ensure that we only pay for quality visitors. We create a compelling message using the right keywords, ad messaging and site experience to generate more leads for you. In addition to PPC management, optimization and analysis of account on regular basis is key to success of your Google Adwords campaign. We take care of it all for you. We contacted 12 companies to develop our web application. In first meeting with Ivoryshore, we were convinced with their level of expertise. Entire development process was handled very well. 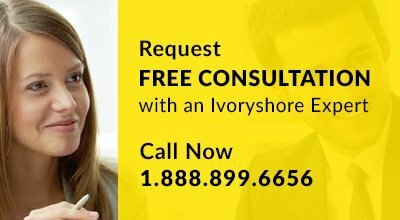 Ivoryshore helped us organize our feature requirements and delivered the project on time. Website strategy addressed our exact target market. Ivoryshore made us think from our customers' perspective. Our customers can now navigate website much faster and find the information they need much quicker. See how we can help you with your PPC campaign.